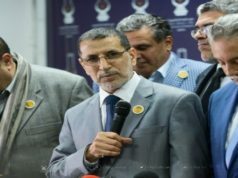 Rabat- Benabdellah has reiterated PPS’ disapproval of PJD’s proposal to remove the water secretariat and is considering withdrawing from the ruling coalition. Head of Government Saad Eddine El Othmani of the Justice and Development party (PJD) is under fire again for his propose that the Secretariat of State in Charge of Water be dissolved, a decision the King made on August 20. 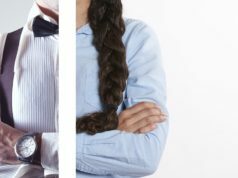 This time, the secretary-general of the Progress and Socialism Party (PPS) publicly expressed his disapproval of El Othmani’s proposal. The head of the water secretariat was PPS member Charafat Afilal. Nabil Benabdellah stated that the Minister of Equipment, Transportation, Logistics, and Water, Abdelkader Amara is also to blame for the proposal. 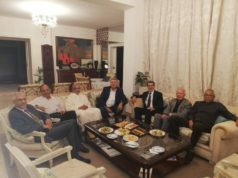 Benabdellah maintained that the proposal failed to represent moral and political ethics as well as the “special relationship” between PPS and the PJD, chaired by El Othmani. PPS called on the political bureau of PPS to hold a meeting on Saturday, September 22, to discuss a potential withdrawal from the government’s ruling coalition. The socialist PPS and the moderate Islamist PJD have been in a ruling coalition since 2011, following Morocco’s constitutional reforms when PJD won the majority of votes in the parliament. 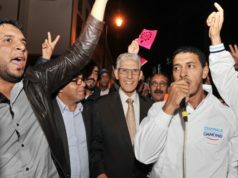 The two parties have been good allies despite their different approaches since Abdelilah Benkirane’s government. 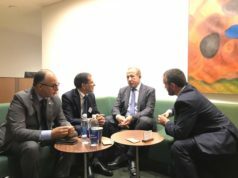 On Monday, in the presence of the human rights minister, Mustapha Ramid, the two ruling parties met to discuss the move and find a mutual solution to the rising conflict. 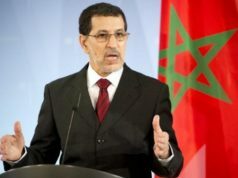 The decision, first recommended to King Mohammed VI by El Othmani, was allegedly taken to improve the management of water-related projects in the kingdom, according to a communique from the Royal Palace released on August 20.